Can I Get a Discount on Insurance by Using GPS Trackers? We have seen an uptick in requests from business owners to add GPS tracking units to their fleet. GPS tracking systems improve the odds of vehicle recovery from theft, encourages safe driving, and promote regularly scheduled vehicle maintenance. But can they save money on insurance? Yes. Insurance companies are always assessing risks, so businesses with better driver records and a well maintained fleet could see decreases in their commercial auto insurance. 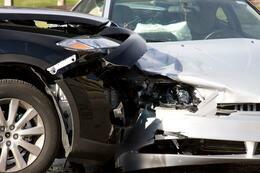 As an independent insurance agency, we have access to a variety of insurance companies which offer cost assistance. For your individual situation, additional savings may apply - talk to your KnowledgeBroker about a custom savings plan for your organization. 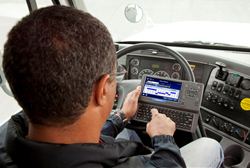 Thinking of adding GPS trackers to your fleet? We queried several clients and developed the list below. While it is nowhere all-inclusive, it is a great place to start your search of looking for a GPS fleet provider. Have questions if GPS trackers can help your business? We can help: safety@rrins.com. Fleet Safety | Can You Sustain a $24M Verdict? Back in 2012, Coca-Cola was hit with a $24 Million distracted driving judgment. The plaintiff’s attorneys were able to successfully argue that Coca Cola’s cell policy for drivers was "vague and ambiguous." They also suggested that Coca-Cola was aware of the dangers but withheld this information from its employee driver, which led directly to the circumstances that caused the accident. The jury awarded $14 million in actual damages and another $10 in punitive damages to a woman hit by a Coca-Cola truck driver who was chatting on her cell phone. Do you have a robust “fleet policy” in place? Are your employees aware of your expectations while driving? Do you periodically provide training to your employees who drive for business, whether in your company vehicle or in their own personal vehicle? If you answered no to any of those questions, you are exposed to a similar Coca-Cola fate. Having and enforcing a “fleet policy” with a clear expectation on cell phone usage is vital to protecting your employees, the general public, and your company assets. If you would like to see a sample fleet policy, please click here. It’s just one of the many resources that we share with our clients at R&R as a way of creating value. Contact me if you would like to learn more about increasing the profitability of your company by proactively controlling risk exposures. In 2011, DOT-regulated truck, bus and motor coach companies paid $30,674,218 in fines for failure to comply with Federal Motor Carrier Safety Regulations (FMCSRs). The average fine per case was $5,050. One of the most costly violations is the falsification of a driver log. 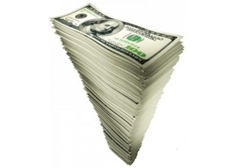 In these cases, companies paid an average fine of $9,394. The next most costly violation was the transportation of hazardous materials without a properly prepared shipping paper. The average cost in those cases was $8,578. Being compliant means saving money. Contact me to discuss how to take proper actions to keep your company compliant. Contact me to discuss how your company can increase efficiencies with the use of EOBRs and as important, how EOBRs can keep you compliant, reduce fines, and affect your premiums. With the recent downturn in the economy, business focus has turned from safety to more “important” financial objectives. The truth of the matter is that poor safety initiatives could end up being the most costly part of the year for an organization. The associated costs of an ineffective and poor safety program, such as claims cost, insurance increases, loss of production, damaged equipment, potential loss of business, and market impact make it all the more important for organizations to invest in the value of safety. It is an investment in the most valuable assets you have: your people and your reputation. A proactive approach to safety can result in a 52% reduction in incident rates over a several year period. Some ways to increase safety include identifying risky driving behaviors, defensive driver training, reinforcing driving skills, and an injury & illness prevention program for employees. The first step to implementing a plan is to identify the correct partners. Education, equipment manufacturing and technology partners can provide resources to identify cause of incidents, educate skills, and develop processes to avoid incidents. Commitment starts with personal ownership, commitment by each employee, and reinforcement by managers. As a R&R knowledge broker, I welcome the opportunity to discuss ways to work together in building a cost effective safety plan or enhance your current processes. Contact me to get started! How are SMS Scores used by Insurance Underwriters? Not long ago, I can recall when it seemed like only the larger, national, insurance carriers specializing in trucking insurance would take into consideration SafeStat Scores in underwriting a trucking Risk. This included carriers like Great West, Northland, Lancer, Sentry, Carolina Casualty, Continental Western, etc. At the same time very few, if any of the underwriters working for the smaller regional carriers, at least in the Upper Midwest, knew where to look for this information let alone how to interpret it. When I speak of smaller regional carriers, I’m talking about companies like Acuity, Integrity, Secura, General Casualty, etc. From my standpoint as a trucking insurance agent, this was a good thing, the less they knew, the easier it was for me to place a piece business with them especially business that was marginal from a SafeStat standpoint but that may have had good loss experience. Well, those days are over thanks to the Central Analysis Bureau. Now, every insurance carrier we access specializing in trucking insurance subscribes to what is termed a "CAB Submission Report" from the Central Analysis Bureau. To put it in a nutshell, this is a report available by subscription. They gather their information from all of the various FMCSA websites including SAFER, SMS, and Licensing and Insurance websites. They take that information and put it in a nice easy to read report focusing on key points for underwriting review. Even the novice trucking underwriter will pick up on problem areas. In addition to pointing out all of the relevant information, the underwriters can sign up for alerts and be made aware if there are any serious violations or changes in scores within a particular category of SMS scores. For the first time in my career, I have actually had companies cancel policies, not because of loss problems, but strictly because of a conditional ratings and SMS scores. - Any hazmat indications and who are they shipping for? They will be looking for travel in higher population density areas. Pricing, higher CSA scores translate into higher rates; lower CSA scores translate into more favorable rates. Underwriters will use this report to see if there are any other operations that had authority at the same address. They're checking to see if there were any chameleon carriers operating under a different name. They will check the vehicles listed on the inspection reports with those submitted on the equipment list. Insurance underwriters are now using this as one of the tools in their tool box. Some companies are even imposing specific scoring criteria. It’s more important now more than ever to be constantly trying to improve these scores. As Will Rogers said, “even if you’re on the right track, you’ll get run over if you just sit there.” In these economic times, it’s more important than ever to partner with people who can dramatically affect your bottom line. This is done through knowledge, resources, and ingenuity. Contact me to discuss how we can work together to lower your risk and save you money. As an independent insurance agency servicing thousands of fleets, and tens of thousands of families in Southeastern Wisconsin, we know first-hand how life can change in an instant. For 2013, we've put some muscle behind our campaign to help companies and families prevent distracted driving. R&R Insurance Services has Distracted Driving window clings for corporate fleets wanting to take action and address the issue of distracted driving. 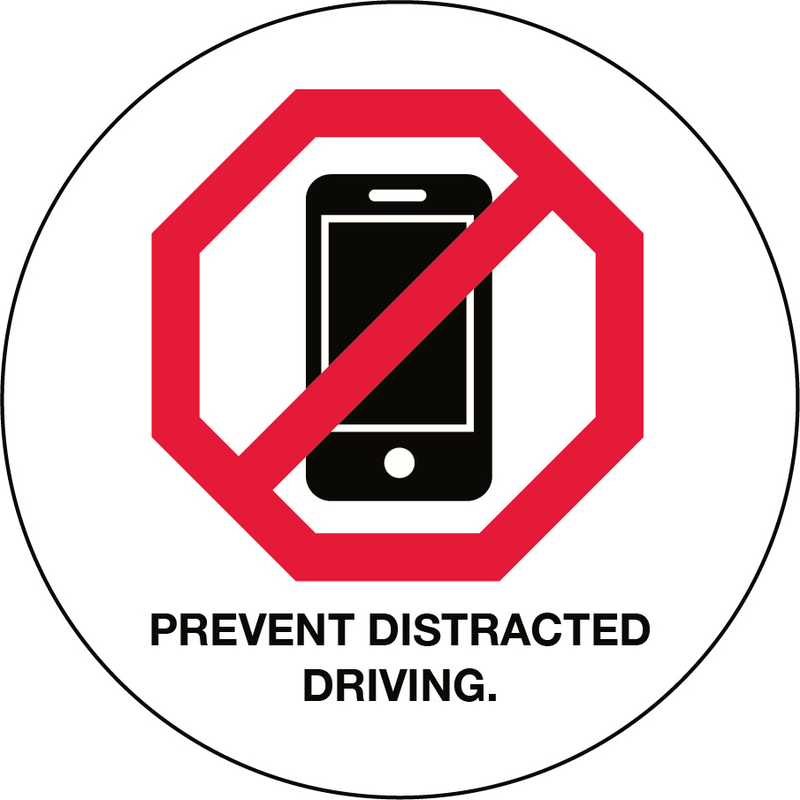 Order your Distracted Driving window cling sample and help prevent distracted driving for corporate drivers. Unfortunately, many accidents occur and lives are lost due to something that can be prevented - Distracted Driving! Let's stay focused behind the wheel and focused towards a common goal to prevent distracted driving. Request your window cling sample today and help spread the word. We can work together to Stop The Distraction and Save A Life! Window cling samples can only be sent to Wisconsin companies. Anything that diverts your attention away from the main task of driving is a distraction. Basically, anything that takes your eyes/mind off the road or your hands off the wheel. This includes cell phone usage, eating, talking, listening to disruptive music, applying make-up, tending to children and navigation systems. Research has shown that the distraction caused by a phone conversation is the same for hands-free or hand-held cell phones. Even more distracting is the act of text messaging. Now illegal in most states (including Wisconsin), texting takes a driver’s eyes off the road an average of 4.6 seconds out of every 6 seconds. At 55 mph, this translates into 120 yards without looking at the road. Recognize that driving requires your full attention. Ask a passenger to place a call for you and, if possible, speak in your place. Do not compose, send or read text messages while driving. In Wisconsin, texting while driving is illegal. Ask passengers to help with directions or adjust dashboard controls. Secure loose items in the vehicle so they don’t become projectiles or distractions in a sudden stop or crash. Avoid intense, complicated or emotional conversations when driving. Pull over to care for children. Stop to eat or drink, rather than trying to eat or drink while driving. Program your GPS prior to starting your trip. Allow plenty of time for your trip. R&R offers a free Stop The Distraction Campaign Kit for Wisconsin Schools and families in an effort to help prevent distracted driving. Contact us for your free kit if you are located in Wisconsin. 800-566-7007. The use of vehicles in a company or organization is an activity which can generate losses in all four categories: property, human resources, liability, and net income. 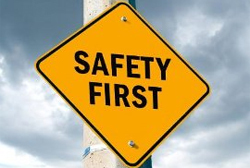 Risk managers have long recognized the importance of well-designed and properly implemented fleet safety programs. In 2008, the National Highway Traffic Safety Administration reported 37,261 motor vehicle fatalities and almost 2.5 million injuries in the United States, generation a combined economic toll of more than $231 billion dollars. According to the US Department of Labor, occupational fatalities associated with highway incidents in 2008 totaled 1,149 – about one in four of all occupational fatalities. While most driver qualification criteria can depend on types of vehicles, passengers, cargo, distances travelled, and federal regulations, it is common for organizations to go beyond the basic state licensing. For example, organizations may elect to impose minimum requirements for age and experience of drivers. Training drivers in defensive driving techniques and other fleet safety topics is accomplished through classroom instruction, online programming, behind-the-wheel coaching, or any combination. MVR review is critical in the instance that a plaintiff’s attorney could try to make a case that the employer was negligent by not checking the MVR thus not taking public safety in to consideration. 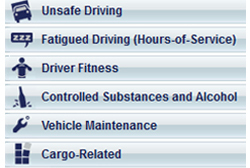 Regular evaluation of MVRs is a standard component of fleet safety programs. For MVR review to be successful, employers must consider exactly what records will be evaluated, and how they will guide employment and driving assignment decisions. The entire process can be outsourced to companies that provide background screening services for new and existing employees. The approach can be useful for organizations with employees from different stats since the MVR must be separately obtained from each. A pull-notice system allows employers to provide a list of their drivers to the stat for placement in to a computerized monitoring system that automatically notifies the employer by email when one of their drivers receives a citation or suspension – whether on the job or not. Vehicle inspections and maintenance is another key component to the safety program. If it can be proven that a fleet owner delayed important safety issues such as tire replacement or brake repair, the argument can again be made of negligence on behalf of the employer. Keep accurate records to prove work has been done – particularly important for fleets spread across many departments. Global positioning systems (GPS) installed in vehicles now provide fleet owners with many useful tools to not only manage vehicle utilization, but also operational safety. These systems can measure and communicate the exact location and vehicle speed on a real-time basis. For organizations that must maximize efficiencies to survive, and control speeding and other misuse of their vehicles, the use of GPS technology to monitor the actions of employees behind the wheel becomes an important tool to complement the fleet safety program. Additional technology is the use of ignition interlock devices (IIDs) for use of drivers convicted of a DUI. One the most significant new challenges for fleet safety programs is managing the use of mobile devices on the road: the use of cell phone and other portable devices for talking, texting, email, social networking, and navigation. This is most commonplace among young drivers and increases the risk of an accident by 23 times. It is easy to prove that a driver was texting at the time of an accident due to the precise time stamp assigned to every message. 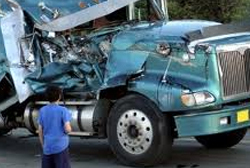 These distractions must be considered and addressed in every company’s’ fleet safety policy. Employee productivity (and perhaps compensation) is directly connected to them being connected while on the road. Every fleet owner must evaluate the communication needs of their drivers, and devise policies that manage the risk appropriately within the context of conducting business. Every fleet owner must evaluate the communication needs of their drivers and devise policies that manage the risk appropriately within the context of conducting business. Fleet owners have the task of developing and implementing fleet safety programs that comply with applicable laws and recognize the changes brought about by new technology. Successful risk managers will tailor programs to meet the specific needs of their industry.